Open pear drops with multi-crivelli stations. Champagne diamond and white sapphires. 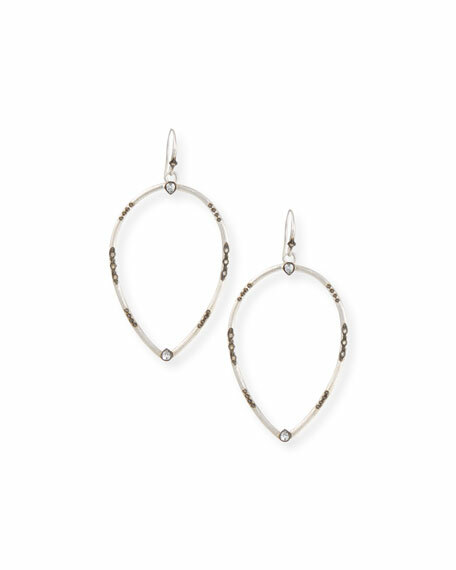 John Hardy earrings from the Bamboo Collection. Sterling silver with carved bamboo design. Three graduated link drops. Approx. 2"L (52mm). John Hardy earrings from the Naga Collection. Scale engraved sterling silver. French wire backs for pierced ears. Approx. 1 7/8"